The thing about having other people plan for trips is that I end up not researching about the place. Sure, I’ve read about Coron in my Lonely Planet book, as well as Dive Guide in the Philippines, but other than that, I didn’t really do as much research as I did for my earlier trips. That said, I don’t have any idea what Coron would be like. 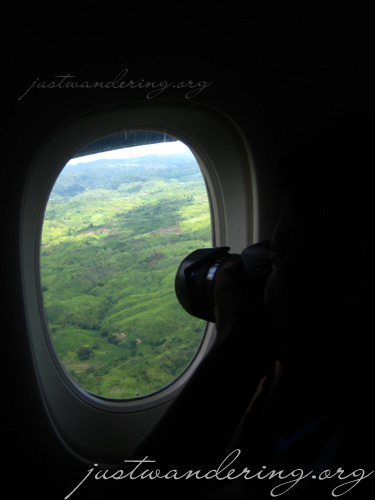 I sat on an aisle seat on the flight to Busuanga, so I didn’t really see the terrain as the plane drew near the island. When we finally landed though, I was pleased to see plenty of green mountains all around me. The runway of the Francisco Reyes airport was surprisingly paved, and a bigger airport terminal was being constructed; a clear sign that there’s a huge influx of tourists lately, and that they’re obviously expecting the numbers to rise. Inside the small airport, we were asked to fill out a form declaring our names, nationality and purpose of visit. It’s similar to filling out an embarkation card when you enter a country. There are no baggage carousels in this airport — you have to pick out your luggage from the contraption where they put in the luggage after unloading from the plane. Seair provides a jeep transport to the town. 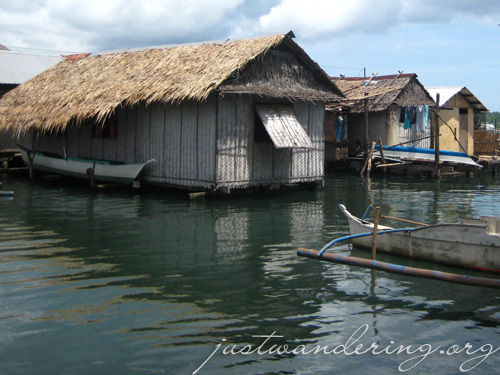 Oddly enough, the sign up top says “Club Paradise,” which is on the other side of Busuanga. Unless you have somebody picking you up, this jeep is your only ride into town. For Php150, it may seem pricey, but it’s a pretty long drive and gasoline is not cheap on the island. I asked our tricycle driver and as of last Sunday, June 8, he said gasoline is priced at Php63 per liter and rising by Php1 everyday. Majority of the road from the YKR airport to Coron town is still unpaved. However, it wasn’t a bumpy ride. The roads are pretty flat, and is already primed for laying on concrete. In fact, the local government have already started on paving the road from the airport and into town, and you’ll see portions of concrete roads along the way. Though not bumpy, the is the dust that gets kicked up by passing vehicles on certain areas. 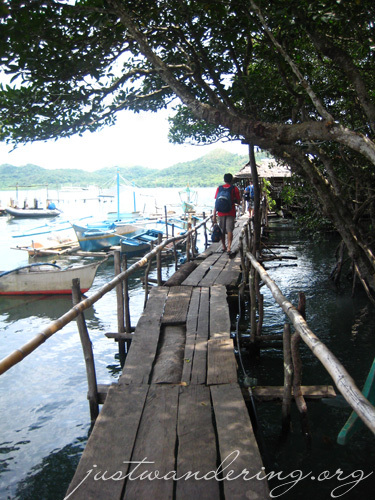 The rickety wooden bridge. And the Mangrove. Hee. The ride into town was actually quite pleasant. 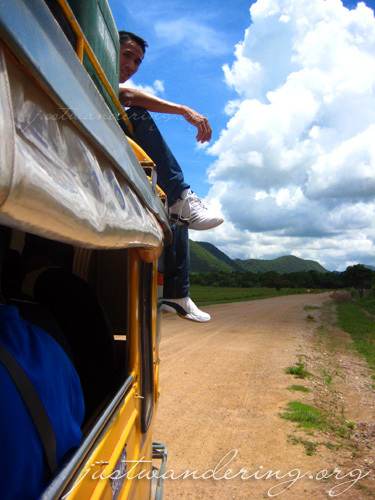 The jeep has huge windows so you can gape at the towering mountain ranges, and animals that roam free. Gail, Eric and I reveled that you can stick out your arm and camera and take photos, without any danger of it getting swiped or hit by a passing vehicle. The air felt so refreshing and to add to the wind streaming in through the windows, the driver of the jeep opened up the windshield. The jeep’s last stop is at Seair’s office, but if they’re passing your resort, they can drop you off there. 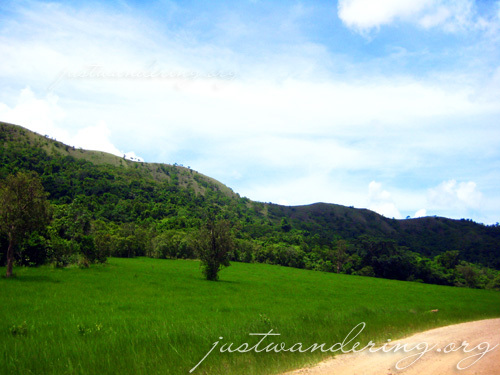 Knowing that we had reservations at Krystal Lodge, the jeep stopped at the path that leads to our accomodation. When I saw the small alley that marked the entrance, I began to wonder what kind of accomodation Ferdz booked for us. We walked through a narrow concrete alley, and when we stepped on the wooden walkway, I knew we were already on the water already. All these thoughts were pushed aside as we took in the view from our hut. We had a clear view of Coron island, and with this stunning mix of blues and greens, falling into the water (and monsters in the mangrove) is the furthest thing in my mind. Ahihihihihihi SCARY talaga ang hiding person, kaya dapat talaga itali sa mangrove!!!! i love your website. you probably read that more than once already kudos to you. for a travel-hungry person that i am, i find this blog very helpful! i’ll be linking this site, ok? =) thanks! Creatures in the mangrove, should stay in the mangrove. Yun lang! i love ur site – very helpful indeed! 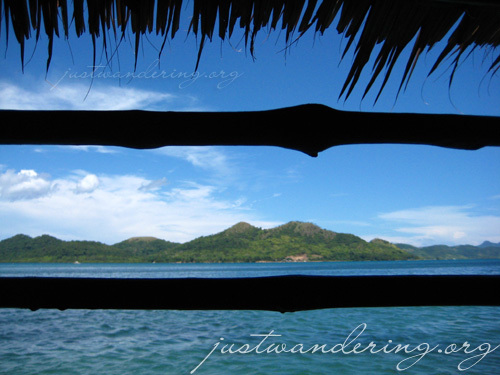 we’re booked this november to coron but no accomodation & tour plans yet. hope you can help us — just for 2 pax. we’re looking into coron gateway hotel – its a bit expensive but facilities are good. im just not sure if its worth it – tour wise. Nice write up – and frank too. I’ll be going to Coron this weekend.. and it looks like I’ll be having a good time!